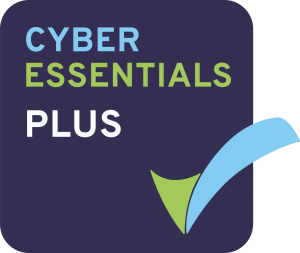 PC Comms awarded 'Cyber Essentials Plus' certification! We are sure you are already aware of the lengths that we go to, to ensure that you are receiving the best possible service from ourselves, your trusted IT provider. Part of our continued development & improvement has meant that we took the decision to apply for ‘Cyber Essentials Plus’ certification. And it is with enormous pleasure and pride that I am today able to inform you that we have achieved that honour! The Cyber Essentials program is a system to ensure that the most important cyber security controls are in place for our Company. According to the UK Government, once Cyber Essentials is in place, it could prevent around 80% of Cyber Attacks. Cyber Essentials, plus much more! ‘Cyber Essentials Plus’ requires independent verification and review of a company’s cyber security setup, along with an internal vulnerability scan and an on-site assessment of the IT infrastructure. What Are The 5 Key Security Controls? Confirm that computers and network devices are properly configured to reduce the level of inherent vulnerabilities. Confirm that only safe and essential network services can be accessed from the Internet. Confirm that user accounts are assigned to authorised individuals only. Confirm that devices and software are not vulnerable to known security issues for which fixes are available. Restrict the execution of known malware and untrusted software. It is a great achievement for ourselves but is also a huge benefit to you as it means that as your IT supplier, you can have even more confidence in ourselves as a company and our engineers to operate in the most secure way. Can we achieve this accolade? It is highly recommended that every company should aim to achieve the ‘Cyber Essentials’ certification as a minimum. We at PC Comms are more than happy to assist your company through this process, please ask a member of the team for further information. Josh was brilliant and I was very happy indeed with the service provided. Thank you!